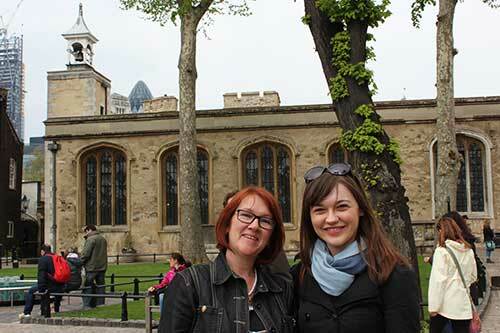 The Tower of London is a wonderful place to visit at any time of year, being jam-packed with history and historical artefacts, but there’s nothing quite like visiting it on 19th May, the anniversary of Anne Boleyn’s execution, and I was lucky to be able to go this year with Tim and our children. 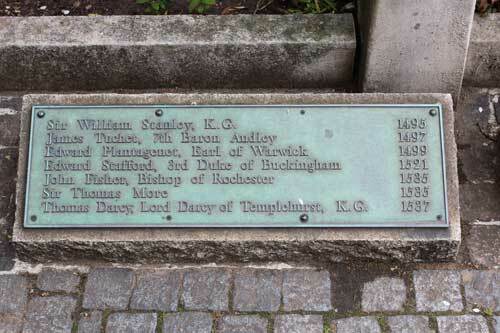 Lancelot Andrewes, the English Bishop and scholar, was baptised there in 1555. William Penn, founder of Pennsylvania, was baptised there in 1644. 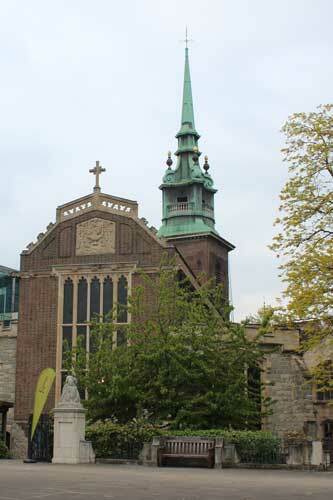 Samuel Pepys watched the 1666 Great Fire of London from the church tower. 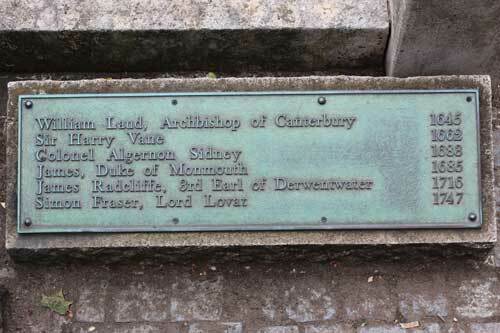 George Jeffreys, 1st Baron Jeffreys, James II’s Lord Chancellor and a man known as “The Hanging Judge”, married Sarah Neesham there in 1667. John Quincy Adams, 6th President of the United States, married Louisa Catherine Johnson there in 1797. 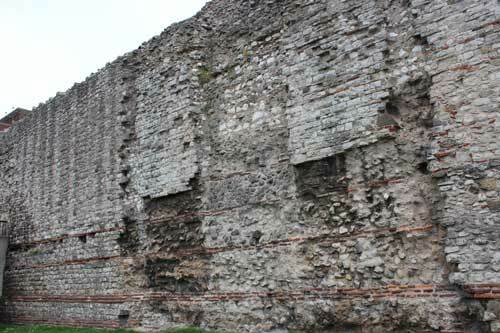 We had quick look round the church before their Sunday service started and then made our way to the London Wall, a surviving section of the Roman city wall which was built around 200AD. 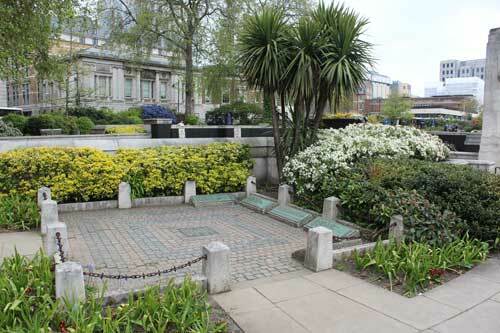 The fragment we visited is situated right by Tower Hill Underground Station and has a statue of Emperor Trajan standing in front of it. 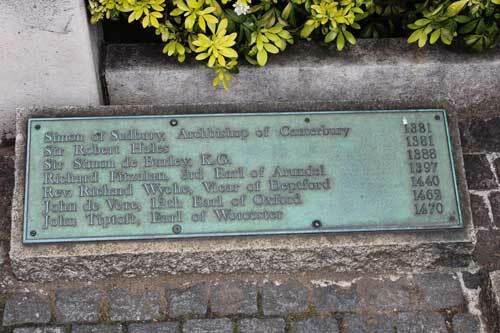 I paused for a minute and paid my respects to George Boleyn, Mark Smeaton, Sir Henry Norris, Sir Francis Weston and William Brereton, who were executed there on 17th May 1536. It was then time for the Tower. 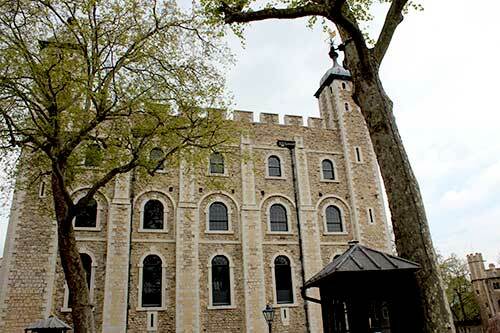 Before entering the Tower, we walked around to the river side of it to see Tower Bridge and also to take photos of the Court Gate of the Byward Tower, the gate by which Anne Boleyn entered the Tower in 1533, after her coronation river procession, and in 1536 following her arrest. 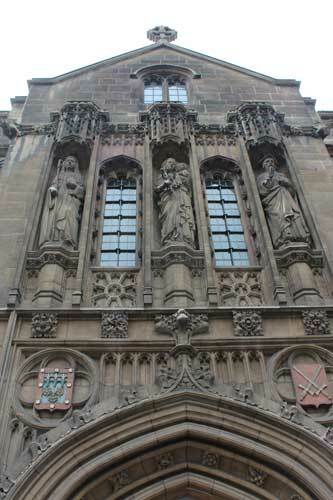 We then entered the Tower. 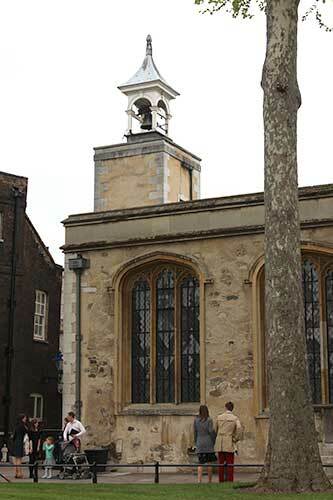 It was impossible to visit the Chapel of St Peter ad Vincula in the morning because church services were taking place, so we took the children around the wall walk, through the medieval palace, on to the White Tower and Beauchamp Tower. 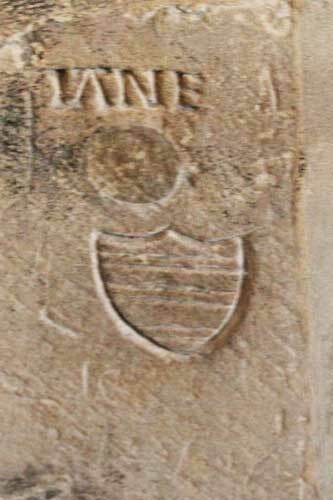 I’ll never tire of browsing the Tudor “grafitti” (stone carvings) in the Beauchamp Tower and looking for Anne Boleyn’s uncrowned falcon, which is thought to have been carved by a Boleyn supporter in 1536. 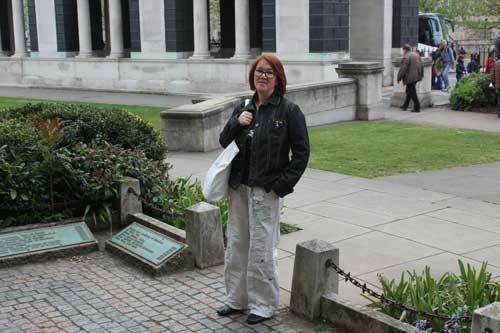 It was then time for a spot of lunch sitting by the glass memorial on Tower Green. 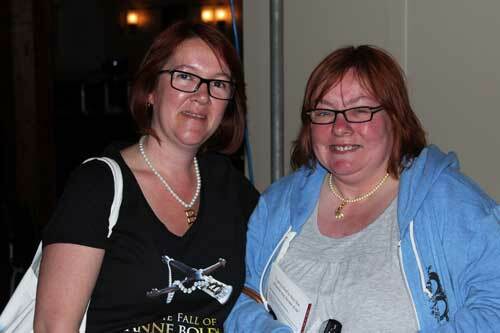 It was there that I was greeted by Victoria from Toronto who recognised me from my photo on The Anne Boleyn Files. We had a lovely chat. While we were eating, the church service ended and people started leaving the chapel. One member of the congregation was actor David Suchet (Hercule Poirot)! 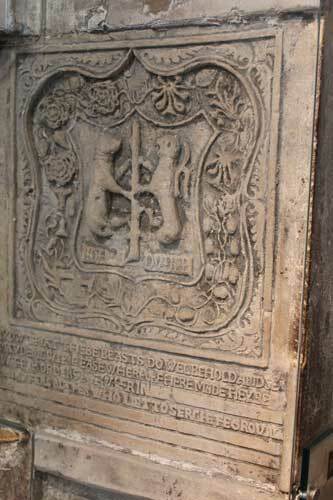 We tagged on the end of a Yeoman Warder’s tour so that we could visit the Chapel and it was lovely to see Anne’s memorial tile covered in flowers, including the traditional, annual basket of red roses. 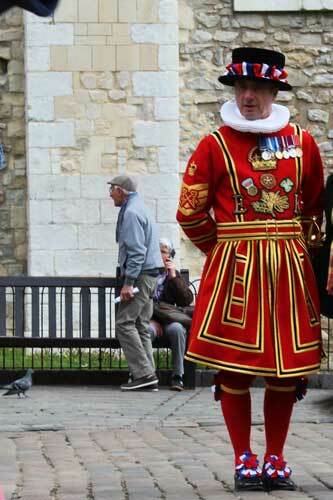 The Yeoman Warder explained to the tour group that it was the anniversary of Anne’s execution, so that was good. In the chapel, I met a couple of other Anne Boleyn Files visitors – Katie Downing and her Mum – so we had a bit of a chat before I met up with Clare Cherry and her partner, David, to go and see the play Fallen in Love: The Secret Heart of Anne Boleyn – click here to read my review of the play. At the play, I met another Anne Boleyn Files visitor, Sharon Bishop, a lady who I’ve corresponded with over the past couple of years. It’s so nice to put faces to names! 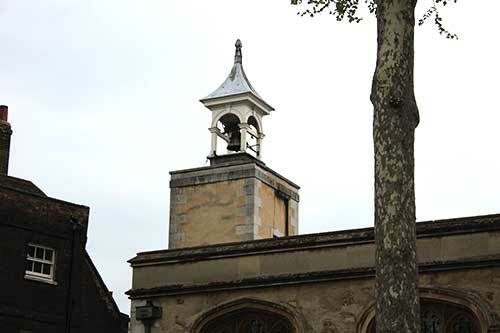 Sorry if I missed anyone at the Tower, but I hope that those of you who visited had a lovely time there. 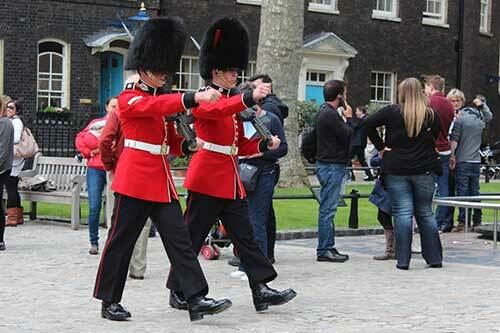 Here is a slideshow of photos from our day at the Tower – thanks Tim! 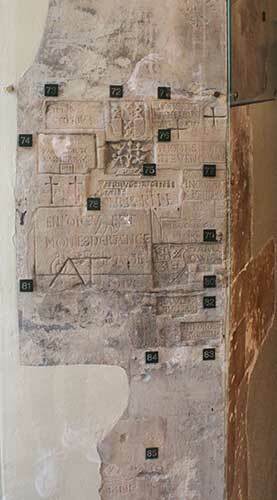 There aren’t any of Anne’s tile because photography is not allowed in the chapel. Thank you for this wonderful article. I left London three years ago and now live in the North West, and I’m being honest now, the only time I feel really homesick is when I think of The Tower of London, which was my playground in my youth! I truly miss not being able to hop on the tube and visit the Tower whenever it takes my fancy. I miss the history, the things they have on display, everything, and most of all the gift shop! I will be visiting London in September and will have to visit! 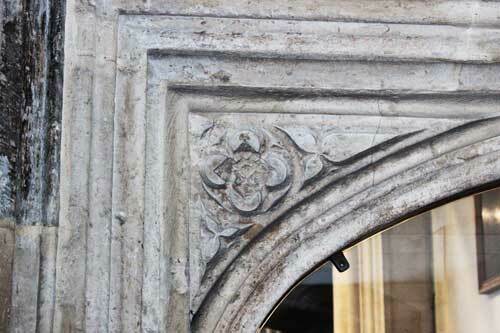 Thank you for sharing the details of your trip to the Tower on Anne Boleyn Day. 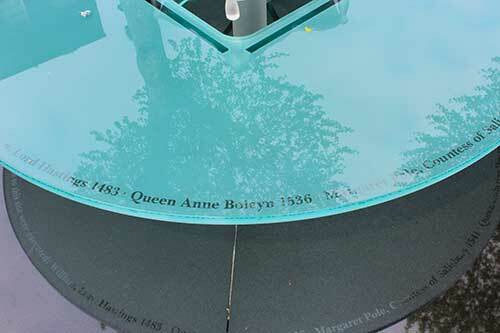 It brought back fond memories of The Anne Boleyn Experience 2010 and The Executed Queens tour in 2011, where I got to pay my respects to Anne Boleyn with a group of like-minded people. I love visiting the Tower, and make a point of visiting every time that I visit London. A lovely write up on your visit Claire, I love the way you write – I tried to explain it to someone after reading your book, it’s like having a good chat with a friend on a subject you both love! I hope the play was good, picked up a flyer for it at The Museum of London on Saturday but never managed to make it! Thank you, Lesley, I never wanted to be a “heavy” writer so I’m glad that it comes across like that. Sorry you didn’t make it to the play. It was wonderful so do catch it if you can. 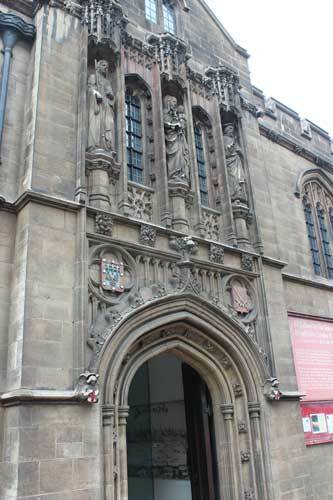 I will be posting more photos soon as I also visited Westminster Abbey and Lambeth. Was the museum good? 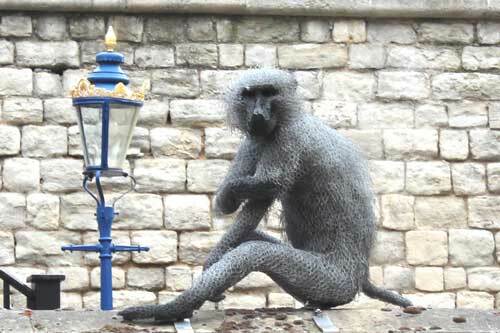 Can’t wait to see the rest of your pictures on Westminster Abbey and Lambeth! Hurry!! It looks like it was a wonderful time. Thank You for sharing the pictures. But for now I will enjoy your pictures, knowledge and experiences. I’m sure you will get there, Kim, keep repeating the mantra! I think that’s natural, though, we take for granted what’s on our doorstep. I grew up near Stratford-upon-Avon and haven’t been to all of the historic attractions there. Another place that is on my ‘hit list’! Yes, you are right Claire! I think you are right. I Only live 45 minutes from New York City and rarely go there. Although I love it there , its just so close I take it for granted. I have always wanted to go to New York Kim, my friend has just moved to Brooklyn so you never know! 45 minutes from NY – wow! I’m about the same from the Tower of London and Hampton Court! WOW. Maybe our paths will cross one day. You never know. Thank you for writing this article – it truly made me feel as though you’d brought me along! The pictures make me feel like jumping on a plane to Heathrow. What a quick and fantastic trip! I had plans for a 10 day trip to London (and surrounding areas) back in 2000 that had to be canceled due to a divorce. I have never been able to reschedule the trip nor save the funds necessary since then (illnesses, etc) but like you said to other writers above, my mantra is “one day, one day, one day”. One day ‘my ship will come in’ but I am getting tired waiting for it to sail!!! And I didn’t win the ‘megaball’ lottery of $500+ million last week either. Oh well, I will continue to enjoy this website and others and hope for the day I can see and experience it all in person! I love the Tower of London! 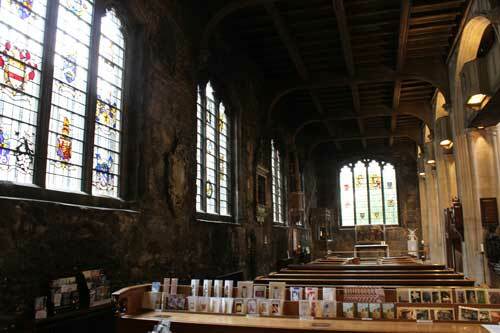 Sadly I couldn’t visit on the day of Anne Boleyn’s execution but I went the week before, the Chapel is very beautiful. My dream one day, when funds permit, is to live in one of the mock-Tudor houses there. The only way from what I understand, that you can live in the mock Tudor houses there is if you or your Husband is the Constable of the Tower, or one of the high ranking officials. As for the rest of the homes in the Tower. 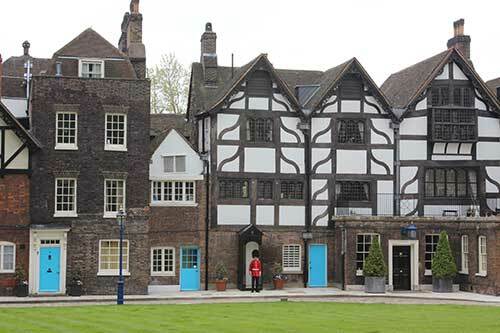 The families of the Yeoman warders live there. Sorry. 13 years ago this month I began a month long European tour in London. I had just finished my first year of college and wanted to explore. What exactly I wanted to find out I had no idea. My parents willingly put me on a plane with a back back and a small suitcase full of Maple Syrup for my Aunt and Uncle and some of their favourite Barbeque sauce. I visited 13 countries saw a lot of interesting historical places, I saw everything that I had learnt about in my studies of art history in school. I met up with my family in Dover and went to there home in Tunbridge for a visit and a tour from a local perspective.THe day before I left to come home we visited Hever Castle and My Aunt and I spent an ENTIRE day going through the castle room by room reading the small descriptions of each artifact, item and display. Looking at everything, I had thousands of questions and thoughts. 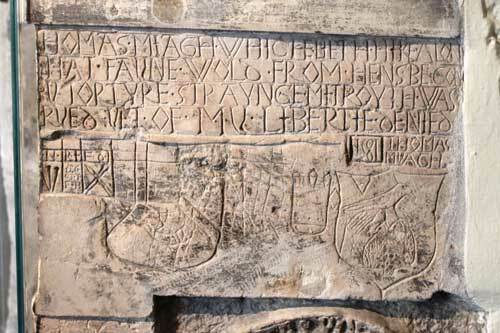 I connected with Hever and a Women who died more than 460 years earlier. My curosity was peaked and I have read, watched, reasearched everything I could possibly get my hands on from Ontario Canada. 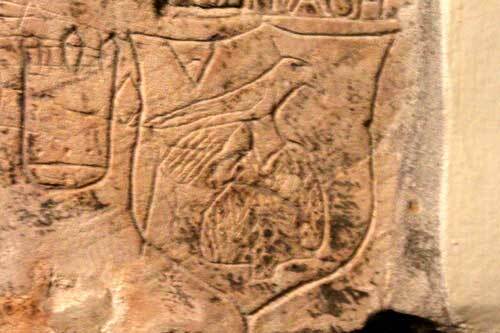 I discovered a time period that fascinates me endlessly. So when I read this post (Which I do daily as it never gets old!) I sent the link to my husband who is wonderfully supportive of my fascination and told him I was booking us a flight and planning a trip. So this time next year I can pay my respects and see the things you describe in your posts so beautifully, I can see where she walked, see where she was crowned, visit the places where she was the moost happy and visit where she will have slept for the last 478 years and what I missed 13 years ago. Your website my guide and referance! Thanks for the motivation and helping me satisfy my never ending curiosity! Thanks for your post 22 May Claire, brilliant, and the shots were great, I really did enjoy it. 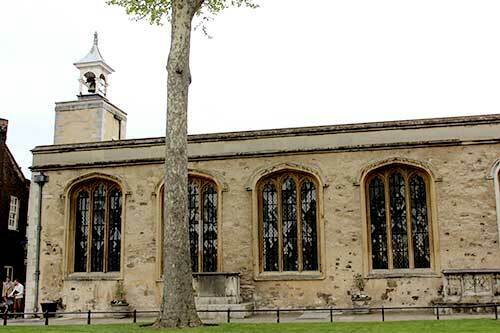 I would be most interested on your comments about the glass memorial on Tower Green, I personally dislike it as being rather too modern and feel a much more sympathetic one, more in keeping with the surroundings could have been made and introduced. I accompanied Alison Weir’s ‘Lancaster and York Tour’ as a guest Historian last Thursday and Friday in London and we spent a good part of the Friday at the Tower. Glad to see you had better weather than us – it was one of the coldest spring days I can remember. I think when you haven’t been to the Tower for a while you forget just how massive it is. 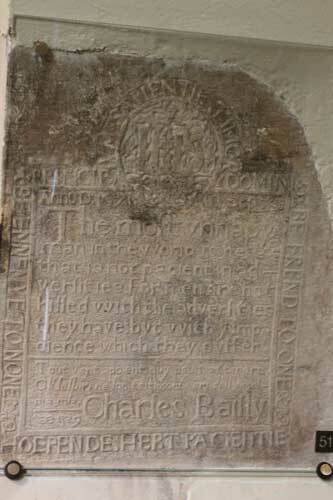 We had a very full itinerary and it was a privilege to sit quietly in the chapel in the late afternoon to reflect on the proximity of the remains of the cousins Anne and Katherine and the other unfortunate souls. When I left the tour they were joined by historian Sarah Gristwood and have been visiting my home territory today at Gainsborough Old Hall in Lincolnshire with its associations with Richard III, Anne Boleyn, Katherine Howard, Katherine Parr and, of course, Henry VIII. It seems to have been a wonderful eight-day trip with a great time being had by all. At the Tower I was too busy to take many photographs, so am very pleased to be able to share yours. Thanks Claire for a great article and photos. I hope one day I can make it there all the way from Australia. I would really love to walk in her footsteps myself. Pictures only go so far!! Another great tour by proxy for me thanks to you, Claire! Loved the article and the photos; just wish I had been there to walk up to you and invite you to go for a cup of tea and a talk about the last day of such a fascinating and inspiring woman. Sigh. Maybe next year! There are so many of us that would like to be in London at some point to walk in the footsteps of such a great lady. Claire, I was wondering if there is anyway you can organize such a trip, with group rates and tours? Maybe it would be financially feasible for some us to get there. I really do not know if it’s possible or if something you would even want to get in to. Tim and I have done tours – in 2010, 2011 and 2012 – but we just don’t have time to do any more at the moment. They take so much planning and preparation, and I really need to concentrate on my research and writing at the moment. We did enjoy them though, we stayed at Hever Castle! I completely understand. I’m sure it is a lot of work. WOW staying a Hever Castle – that must have been a great experience. Don’t worry about mentioning it. We did 5 tours and they were all really good. Yes, staying at Hever was magical. Loved the photos & article. 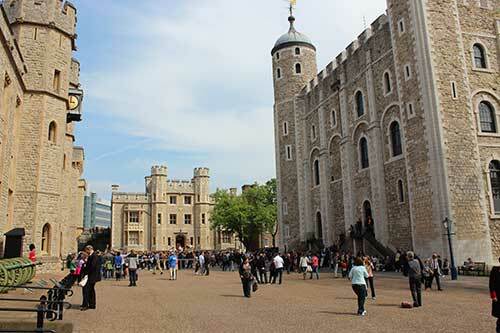 Have been to The Tower numerous times on my visits to London, from Sydney, Australia, it never ceases to thrill & excite. Amazing to walk in the footsteps of “the Lady”. Very special to have been there on the anniversary, keep up the good work, we love reading your posts into the past , Claire. Claire, thanks so much for your piece and for the photos. 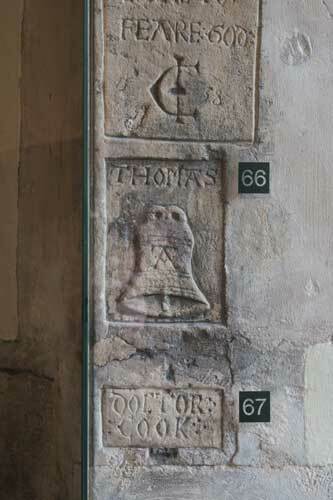 Coincidentally, I did the same tour last month: All Hallows (my first visit), then the Tower (my first in a long time). 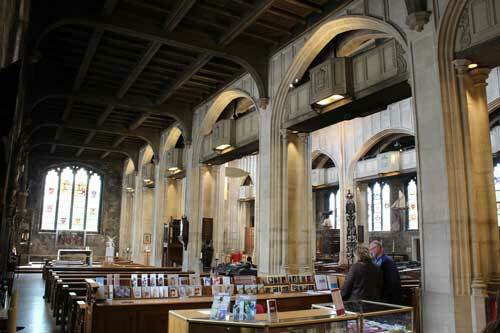 All Hallows is lovely, despite the linoleum floor–laid after the church was bombed during the Blitz–and I especially liked that little museum in the crypt. But I was disconcerted by my London Walks tour of the Tower. 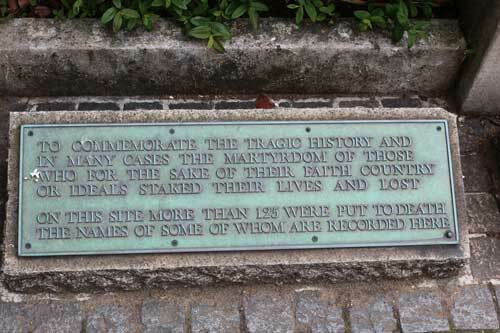 London Walks has usually served me well, but their guide, and the Beefeater I followed through St. Peter, were dishing up some of the usual junk about Richard III, Anne Boleyn and Katherine Howard: suffocated children, the extra finger, Culpepper’s being arrested after K.H. 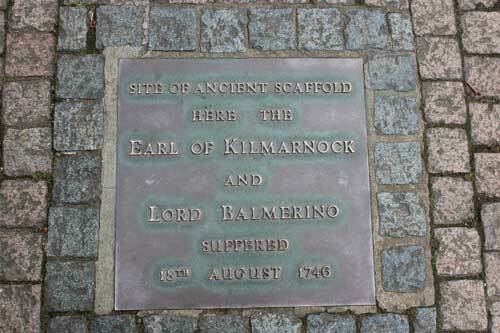 mentioned him on the scaffold, etc. 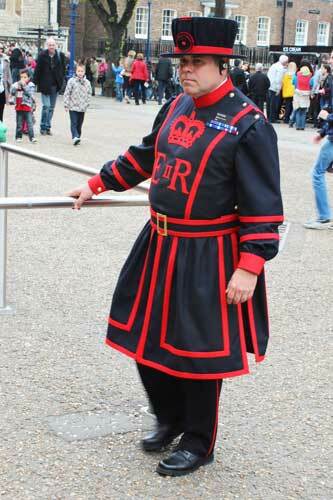 The Beefeater shooed us off quickly, but I had a short chat with the London Walks guy–and also threw in a mention of Bertram Fields’s book about Richard III, which seemed to interest him. Weird, though–I’m an amateur and I expect the so-called experts to know their stuff. Thank you so much for the wonderful information. I am planning on going to London in the summer of 2014 and was wondering what advice you would give regarding guided tours in the tower. I have been such a fan of the Tudor period and want to make the most of my trip there. Thanks! I so look forward to realizing my dream of visiting London, and quite a bit of England, next year to celebrate my 30th wedding anniversary. 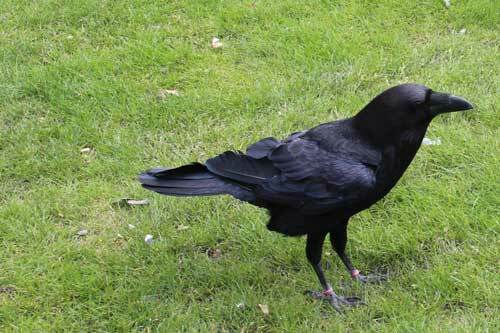 Your post detailing your visit to the Tower of London has only exacerbated my excitement! I have been a student of Plantagenet and Tudor History since my college years (1980-84)…and absolutely love that Tudor history is being re-examined by so many because of “popular” culture. 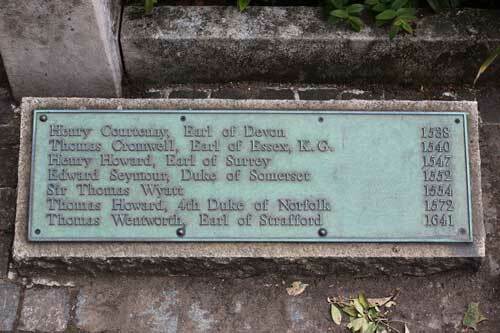 I believe that, inaccuracies or not, the revival of Tudor interest will encourage many to delve deeper into fact v myth! My husband understands that a major portion of our trip will be designed to visit as many Anne Boleyn sites as possible! I will continue faithfully following your posts and appreciate each and every one! Thank you for your article and the pictures. 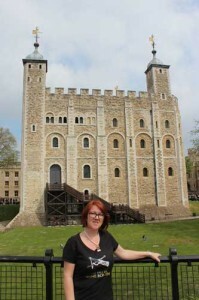 I have been to the Tower once and it is one of my favorite places! I plan to return in December and am excited to go back. You have provided me with new information and I’m sure I’ll have a different perspective going again!